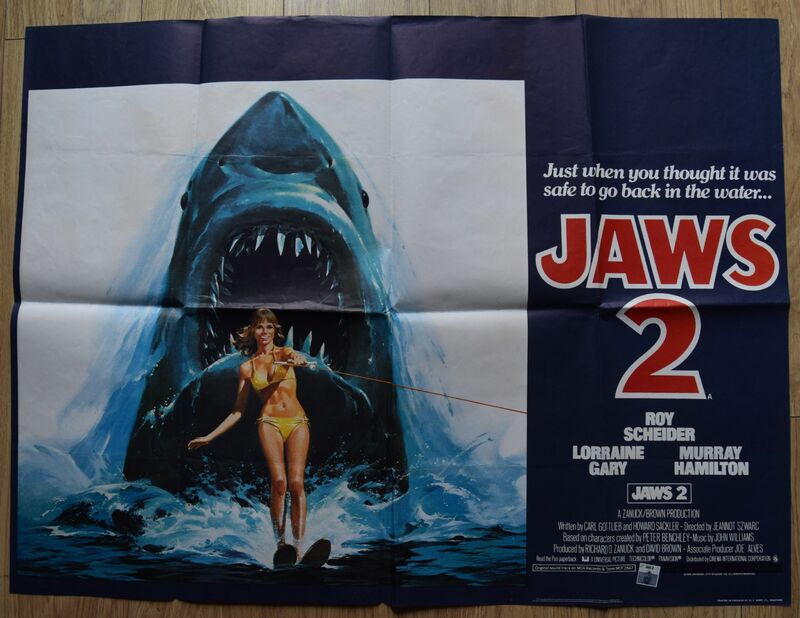 Jaws 2 (Universal Pictures,1978) UK Quad 30" x 40"
A wonderful sequel starring Roy Scheider and Lorraine Gray. This magnificent poster has a few small pinholes in the dark blue bottom area under image and the child warning is blacked out under credits. 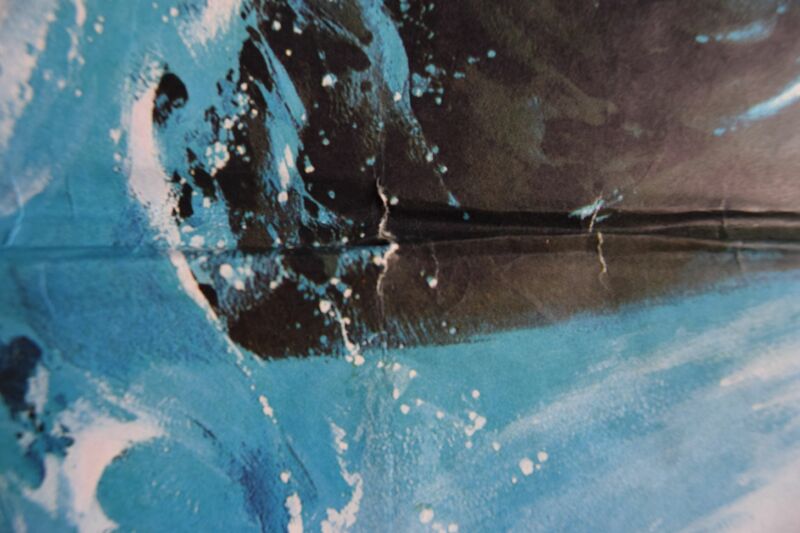 There are two small fold tears, one bottom centre fold and the other two inches above it. These are hardly noticeable and the poster displays very well. Grade: (C7.0) Fine to Very Fine.